A clear view ahead at all times with the Compass windscreen wiper. The wiper arm is 28 cm long and comes with one wiper blade. 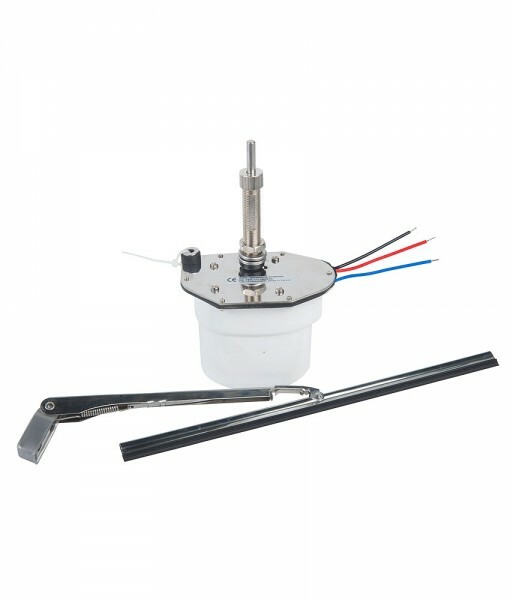 Driven by a 12V motor, the unit arm and blade are made of strong high-quality steel. Wiper blade deflection 110°. Shaft diameter 1/2". Weiterführende Links zu "Windscreen Wiper Set"